I've loved music all my life. My earliest encounters were learning the violin at school. I eventually got to play the odd violin concerto and led the school orchestra, but, as a teenager, it seemed more of a penance than a pleasure. The rigour and stiffness of it put me off 'classical' music for years. As a teenager I was inspired by the Beatles, the Nice, and the Cream and I took up keyboard and played with a lot of good rock bands around the West of Scotland. However, the real world intervened and raising a family meant music took a back seat. Now I've come full circle back to classical and jazz. For me, it's the melodic and harmonic interest in classical and jazz music that inspires. Modern music technology gives me the means to realise my musical ideas. Rather than restricting musical freedom, technology eases the translation process from the imagination to the recording. It makes it possible to divide up the creative process and refine each part separately. 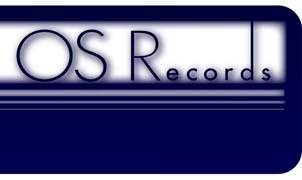 OSRecords, 3 Milehouse Crescent, Dumfries DG1 1JZ, United Kingdom. Copyright © 2005-2019 OSRecords. All rights reserved. There are no items in your shopping list. You will now be redirected to Google's secure checkout page. This may take a few seconds to display. Select Currency: US DollarsPounds SterlingCanadian DollarsAustralian DollarsNew Zealand DollarsEuros ? Select Delivery Region: United KingdomUnited StatesEuropean UnionRest of World ? PayPal accepts Visa, Mastercard, Amex, Delta, Solo, Maestro and Switch Cards ? Download your track within seconds. We send you an email with the download instructions as soon as your payment has been cleared by PayPal.